One of the lowest profile shoes in Altra’s lineup gets sleeker in 2019, with a significant decrease in weight thanks primarily to a new Quantic midsole compound that we found impressively responsive for a relatively low platform. The uppers have been completely redesigned and are now in a wrap-around style that is attached on the medial side with external fabric loops for the laces, traditional eyelets and a low bulk gusset on the lateral side to keep out debris. An additional rear eyelet on the medial side helps anchor the rearfoot, and our testers like the overall locked-in fit of this system compared to other burrito-style tongues. The heel box is scooped out low for comfort around the ankle bones, but can be a source of debris entry if you’re not wearing gaiters. On the outsole, Altra uses MaxTrac rubber that has great durability, and about 40 shallow lugs that provide an angled grip. We found the outsole to be best suited for dry or damp conditions, as super muddy trails seemed to cause more sliding than others we’ve tested. Altra quietly removed the longstanding heel rudder that many runners either didn’t like, or didn’t understand. One cool feature that remains is the removable StoneGuard insert allowing users to modify the weight-to-protection ratio. When in place, it offers excellent protection from rocky impact, but some of our testers prefer to remove it for better ground feel and closer connection with the midsole compound. This is a favorite of our minimalist runners who like to feel the trail while maintaining full protective elements and quick responsiveness. 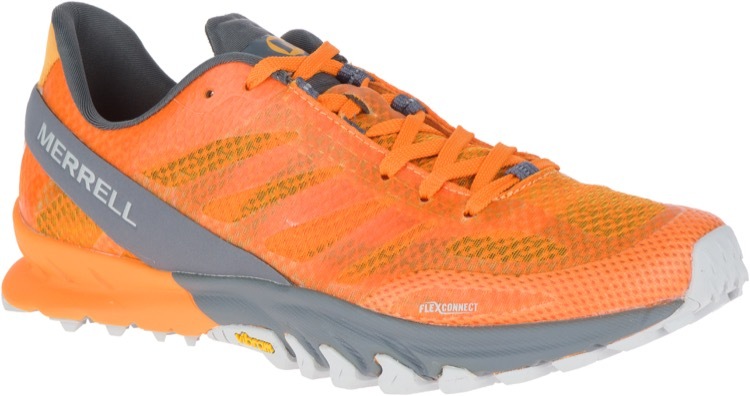 We hope you like orange, because that’s the only color this shoe comes in for both men and women. The MTL Cirrus is born from the new Merrell Test Lab (MTL) project that combines technical innovation with the specific needs of its various sponsored athletes. 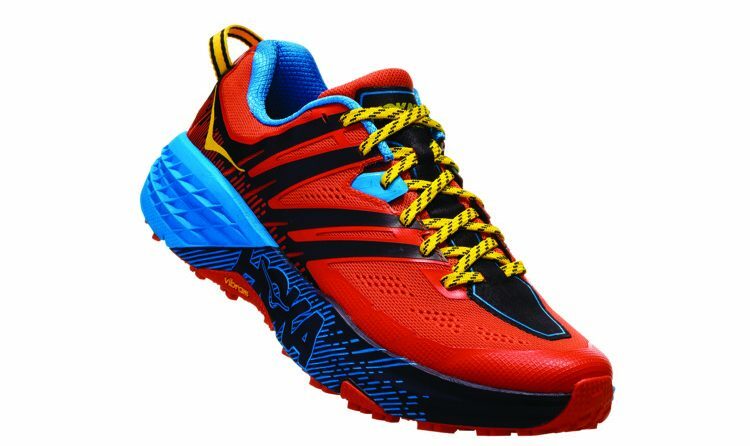 This shoe was developed for the primary purpose of skyrunning, moving up and down over steep and rocky terrain where speed and protection are both critical needs. The upper is super-light, with a thin ripstop mesh that is translucent, reinforced by thin TPU overlays to hold it to the midsole platform, and a thicker Hyperlock sandal-strap band that anchors the heel to the midfoot. The heel and ankle collar are fairly high, and some testers experienced rubbing against their ankle bones. Width through the forefoot is moderate, thin enough for a snug fit but not overly restrictive. Most of the support and responsiveness from the midsole comes from Merrell’s FlexPlate – a full-length, thin, lightweight layer that provides stiffness, torsional rigidity and impact protection without excess thickness or weight. This is combined with dual-directional grooves in the midsole that flex for increased agility, and a super durable Vibram MegaGrip outsole that has strong wet and dry traction, and angled 3mm lugs placed in areas of most common impact. Our testers were surprised with how well the MTL Cirrus grabbed the trail when bombing down steep descents, given that the lugs are not obnoxiously large. We were also impressed with how light and responsive the shoe feels. 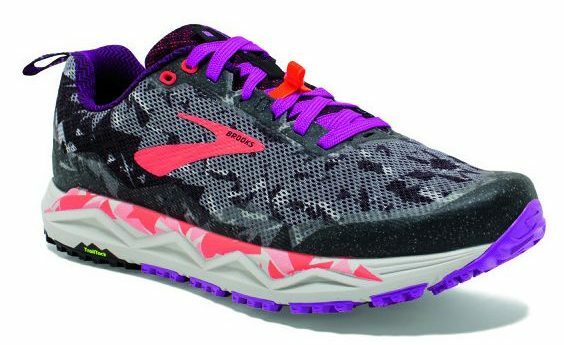 This is a great example of a shoe that runs much lighter than its spec weight. The LD stands for Long Distance, and our testers loved how this model provided exceptional cushioning and comfort for all-day runs, while retaining a fast and light overall feel. Upon first use, both the uppers and midsole have a slightly stiff feel, but they break in easily and seem to mold to your individual foot shape with just a few outings. The uppers consist of a single layer of closed-mesh polyester underneath a welded TPU overlay that is fully integrated into the lacing system and provides extensive coverage through the midfoot and heel. 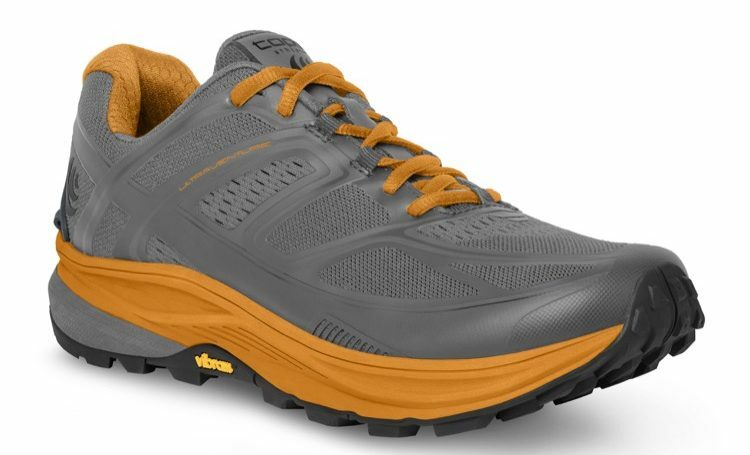 This layout maximizes resistance to abrasion and keeps the upper anchored securely to the midsole platform, but it also decreases overall breathability, and we found this shoe to run slightly on the warm side. The toebox accommodates our testers with wide forefeet and provides full toe splay without feeling sloppy or loose. On the underside, the Norvan LD uses a midsole compound that combines 85% compressed EVA with a firmer 15% polyolefin positioned in the medial arch area to provide a small amount of stability. A TPU plate in the midfoot provides increased rock protection, and the midsole has a 9mm drop that is better suited for heel strikers rather than midfoot runners. A Vibram Megagrip outsole with 3.5mm lugs performs exceptionally well in a wide range of conditions, and we found the Norvan LD to be very dependable on technical, muddy, or wet runs on all sorts of terrain. Brooks likes to let its design team go wild on the Caldera and this new version doesn’t disappoint, as it’s definitely the most eye-catching shoe in our group. The upper doesn’t compromise performance, as it breathes and drains exceptionally well, and holds up well against abrasions. Small accent updates to the upper include a lace keeper to tuck your loose ends away, and a built-in gaiter attachment point in front. Fit through the upper feels more snug on this update, and this was good news for our testers who like a tighter fit and more security on downhill slopes. This did prove difficult for those with high arches, who resorted to lacing modifications for a roomier feel. The midsole platform retains Brooks’ tried and true BioMoGo DNA compound, which has a stiffer feel than other compounds we’ve tested, but traditionally holds its shape and responsiveness very well over a high-mileage lifespan. The big update on the Caldera 3 is a new TrailTack sticky rubber outsole with shallow, high surface area lugs designed to maintain grip in wet or dry conditions. Our snow-dwelling testers found the outsole to be very stable on fresh powder, and it even stayed semi-sticky in icy conditions, preventing the need for additional traction devices. The shallow lugs make the Caldera 3 less suited for highly technical terrain, but they’re a great option for hybrid road-to-trail use. 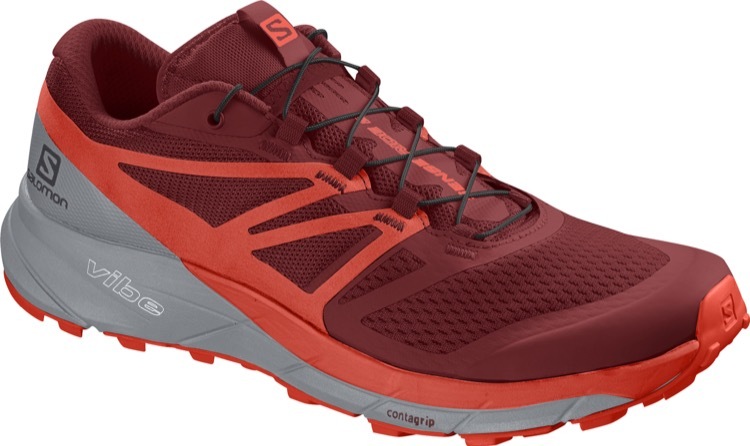 The third version of this popular shoe, inspired by Speedgoat Karl Meltzer, is very similar to its predecessor, with a few minor updates affecting the top half of the shoe. The Speedgoat 3 has a new ripstop nylon upper material, additional heel support in the rearfoot, an expanded front toe bumper, and repositioned overlay placement in the upper to decrease movement on steep terrain. HOKA also designed a “seatbelt” support of the midfoot through an integrated tongue that is connected to the midsole, and one firm plastic overlay on each side to lock the upper in place. The shoe retains the same shape as its predecessor, which is wider than the original Speedgoat but still has a noticeably narrower fit than most of the shoes we’ve tested. From the midsole down, the Speedgoat 3 is essentially unchanged. The oversize EVA midsole compound provides excellent impact absorption and protection from technical terrain; these are our shoes of choice for long efforts over extensive scree. Meta-Rocker geometry helps propel you forward more efficiently after foot strike, and the Vibram MegaGrip outsole rubber with 5mm lugs provides excellent ground stability in all conditions. The Ultraventure was a long-awaited model for many Topo fans seeking a trail equivalent of the company’s plush Ultrafly road shoe. It’s the most cushioned trail shoe in the Topo lineup, with the highest platform and the largest heel-to-toe drop the company offers. Fit of this model is pretty much what you’d expect from Topo, with a snug rearfoot tapering out to a roomy forefoot with plenty of room for foot splay. The uppers are nicely breathable and have synthetic overlays holding them to the midsole, but some of our testers experienced unwanted movement of the foot on the platform during highly technical conditions or when running on a laterally sloped trail. There’s no rock plate in this model, but it’s not really necessary due to the extensive cushioning between your foot and the ground. The midsole consists of 3-density EVA, most of which is a high rebound material that runs the length of the foot. There’s a section of softer EVA in the heel to help cushion downhill landings, and a thin segment of firmer EVA in the midsole to gently guide the foot to a neutral forward position. 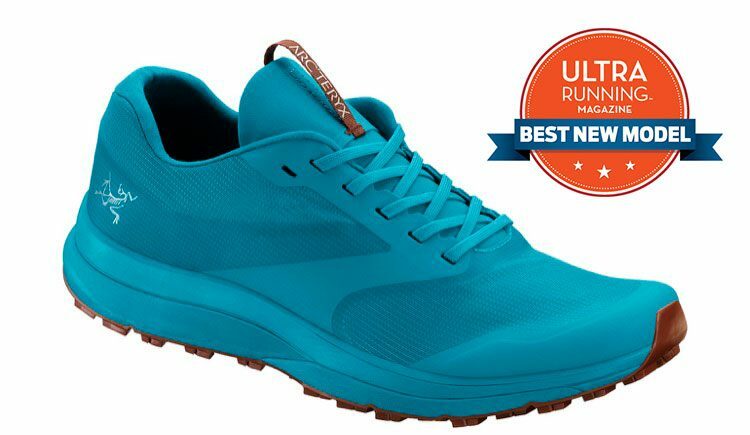 A natural inclination is to compare the midsole feel of these shoes to other max-cushion styles, and our testers found the Ultraventure to be a bit clunky and less responsive than others we tested. A strength of this shoe is the Vibram XS outsole compound which provides strong grip in a number of conditions, with nice spacing of the lugs that shed mud fairly easily. The original Sense Ride shoe debuted in 2017, and despite the fact that an update was two years in the making, the changes to this model are relatively minor, which is a sign that users have been pretty satisfied with how the original has performed over time. Modifications are primarily in the upper, which uses a softer and more flexible 3D mesh material, and repositioned SensiFit overlays that hug the foot more precisely and disperse pressure in a more angled manner between the laces and midsole. It retains the EndoFit sleeve that wraps the midfoot, along with Salomon’s famous QuickLace system that seems to be a “love it or hate it” thing, and a leash garage on top of the tongue to stash the cord. Otherwise, the Sense Ride 2 keeps the same construction elements as its predecessor. The dual density midsole really hits a sweet spot for Salomon, as it combines the firm responsive Energy Cell+ compound with cutouts of a softer, lighter thermoplastic compound called Opal in the heel and forefoot for a more cushioned and comfortable feel. The Contragrip outsole rubber provides exceptional grip on wet and dry terrain; it doesn’t have the stickiest rubber or the most aggressive lugs, but our testers comment about how dependable and secure these shoes feel in virtually all types of terrain and trail conditions. UltraRunning Magazine’s shoe reviews are coordinated in conjunction with The Treadmill running store in Carmel, CA. Multiple testers wear each shoe for 100 to 200 miles before feedback is submitted. This season’s batch were tested in extremely wet and muddy winter conditions throughout California and the Pacific Northwest, as well as the Rocky Mountains of Colorado and high desert terrain in Arizona. Our testers range from trail marathoners and recreational trekkers, to competitive 100-mile ultrarunners and multi-day adventurers. West coast, minimalist shoe bias. Why isn’t Brooks Cascadia in here or testing on the AT?? We test newly released shoes for the review. Cascadia 14 is on our radar for Fall 2019.